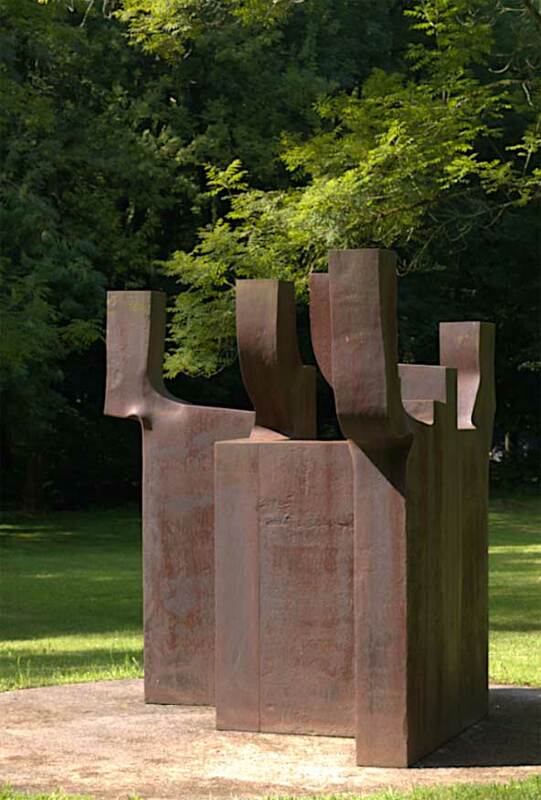 This exhibition will present seven large-scale sculptures by internationally esteemed Spanish sculptor, Eduardo Chillida (1924-2002). For the first time, Kansas City visitors will see work by this innovative, sometimes witty, but always powerful artist. In another first, this exhibition will activate Theis Park just south of the Nelson-Atkins. Four sculptures will be on view in Theis Park and three will be on display in the Donald J. Hall Sculpture Park on the south lawn of the museum. This project is being done in cooperation with the Kansas City Parks and Recreation Department. Chillida: Rhythm-Time-Silence is presented in collaboration with Ordovas, who represents the Eduardo Chillida Estate and brought this exhibition to New York in the fall of 2015 for the artist’s first major presentation in the U.S. in twenty-six years. Spanish artist Eduardo Chillida made his career a life-long study of mass and form within space. His education began in architecture at the University of Madrid, but he abandoned this path to devote time primarily to sculpture. Yet, Chillida’s sculptural works reveal this early architectural training through structural organization, development of various materials, spatial relationships and experimentation with monumental and small scale. Early in his career, Chillida focused on traditional representations of the figural form in plaster and stone. Returning to his homeland of the Basque region of Spain in 1951, Chillida’s vision changed to abstraction and its interference within its physical space. His favored medium also changed to the unyielding materials of iron, wood and steel in a specific nod to the industrial practices of the Basque region, particularly ore mining and blacksmithing. Eduardo Chillida, 1924-2002. Advice to Space VIII, (detail), Executed in 2000. Corten steel, 106-1/4 x 96-1/2 x 96-1/2 inches. Eduardo Chillida (1924-2002). Comb of the Wind XIX, (detail), Executed in 1999. Corten steel, 74-7/8 x 90-1/2 x 72-7/8 inches.